Taking inspiration from several classic gothic horror, mystery, and romance novels, this story is disturbing, darkly romantic, unsettling, and grotesquely beautiful. Juliet is a fantastic, self-sufficient, strong, independent heroine who, orphaned to the harshness of the world and tainted by scandal, struggles to survive in a society ruled by Victorian convention. When an old friend from her past resurfaces with news that her father may not actually be dead but instead living on a remote island, she grabs the opportunity to be reunited with him. But as Juliet uncovers its dark and dangerous secrets, the island may prove far more dangerous than being penniless on the streets of London. 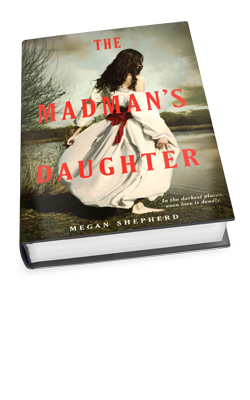 A captivating tale that kept me on the edge of my seat, constantly unsettled, and never sure who to trust, The Madman’s Daughter is a definite, new favorite. I cannot express just how much I love this series. I love the sophistication of the heists, the quirky banter, the totally unpredictable outcomes. This 3rd installment to the Heist Society series was no disappointment, and though we do get answers to some questions, we do still have things that are unknown which leaves me hopeful for a 4 book! I need more Kat and Hale!!! There was a depth to this book that was different than the other two. While the first two were light and fun, this had more of an edge. It was really interesting to see the characters go through something hard and come out better for it. If you loved the first two books, you’ll love Perfect Scoundrels! Enjoy! Slow starting off, but by then end I was pretty hooked. I had trouble identifying some of the characters, but, in the end, the romance finally started pulling me in. I love these Saturday Snippets. Sometimes it’s nice to read quick little review instead of the normal, lengthier ones. And it seems like everywhere I turn, I’m being reminded that I need to read The Madman’s Daughter! And seriously, YES. The Madman’s Daughter is amazeballs. You must read it. I absolutely loved The Madman’s Daughter, I can’t wait for the next one… this ending tore me apart. I can’t wait to read Perfect Scoundrels. I love this series. 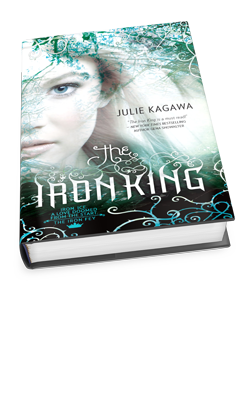 I also loved the Iron Fey series. I need to read the last one. I KNOW! Call me weird, but I LOVE CLIFFHANGERS. I love the drama, I love the challenge it presents the author to see how they will plausibly make things all ok again… or not. lol It was awesome. I can’t wait for the next book! I did love Perfect Scoundrels, it was so great seeing Hale and the contrast between both of the worlds he lives in. Ugh. I totally need to catch up on this series, esp. since Heather liked PS so much! Hale is awesome.